Choosing the right auditor for your nonprofit organization is a difficult decision. An auditor performs a vital service to your organization and can have a significant voice among your leadership and in your boardroom. 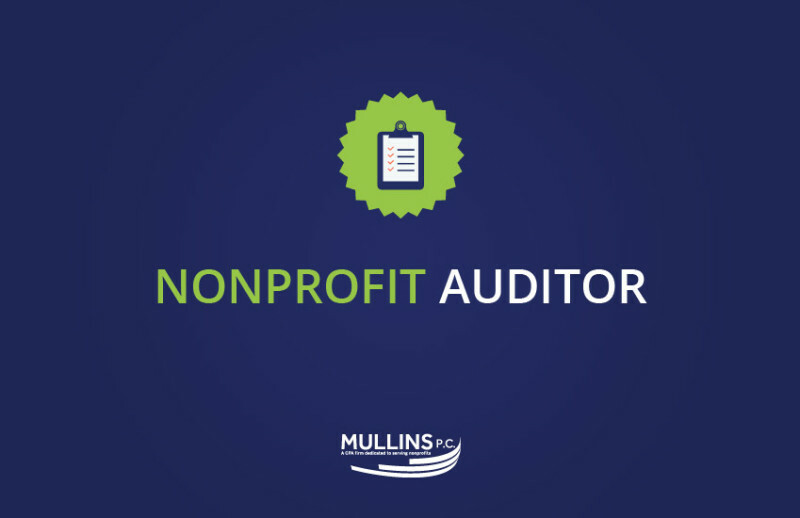 It is critical that your nonprofit auditor is properly positioned to be the right voice. A nonprofit auditor that focuses on small and medium sized nonprofits understands these challenges and analyzes the mitigating factors that may bolster the internal controls to avoid issuing a control deficiency letter. A nonprofit auditor that focuses in a particular area is more likely to become a trusted advisor because the auditor knows how other like-organizations overcome the inherent challenges. Smaller nonprofits may not receive the appropriate CPA resources from their audit firm if that firm services larger clients. It is natural and understandable that larger clients receive services from more knowledgeable staff. Mullins, PC is devoted to serving small and medium sized nonprofits and is your best choice as a nonprofit auditor in the DC / Baltimore metropolitan areas because of our commitment to this sub-sector of the nonprofit community and our ability to become your trusted advisor. John Mullins is the principal of Mullins, PC. Experienced in all aspects of nonprofit auditing and taxation, John has been instrumental in creating positive change and enhancing the value of nonprofit organizations of all sizes. Inspired by the meaningful impact his clients have on others, John has chosen to focus his over 13 year career on providing audit and tax services, as well as, support and advice to nonprofit organizations.